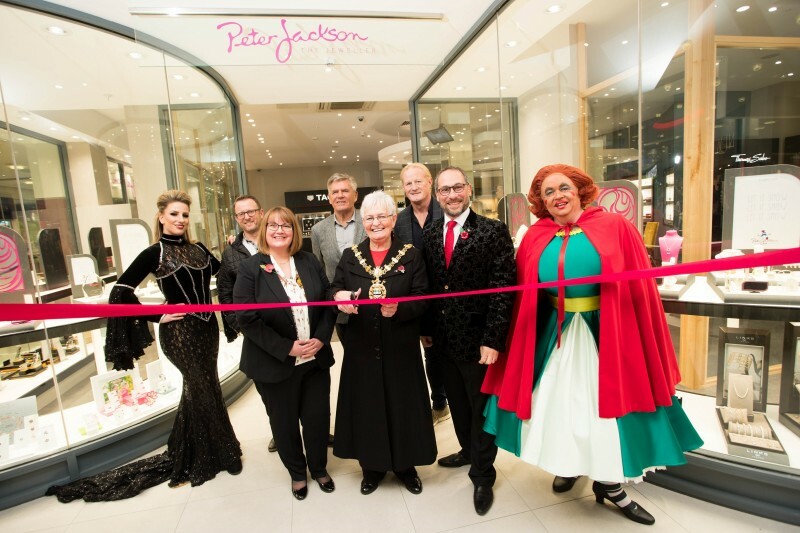 Peter Jackson the Jeweller opened their fantastic new store in a glittering fanfare of sparkle! The Mayor of Blackburn with Darwen, Councillor Mrs Pat McFall, was joined by special guests from Blackburn Rovers Premiership winning team to officially cut the ribbon. Characters from Sleeping Beauty, which is this year’s Pantomime at King George’s Hall, greeted guests and one lucky shopper, Mrs Susan Austin, won over £1000 worth of gifts after successfully opening the treasure chest. Managing Director, Peter Jackson MBE, who is celebrating 30 years in The Mall Blackburn, said: “The launch was a huge success as we welcomed old and new friends from across the county. “We said we were going to create the most beautiful shop the centre has ever seen, and we have done exactly that! 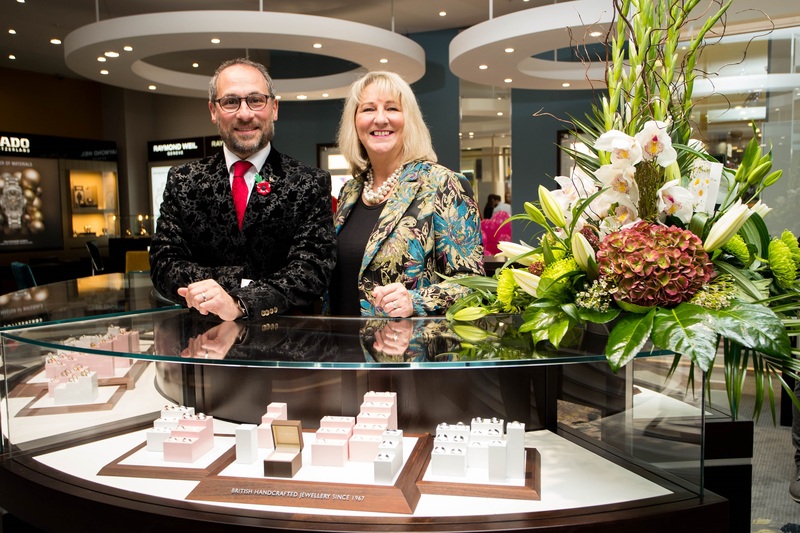 Loraine Jones, General Manager at The Mall Blackburn, added: “We are absolutely blown away with how stunning the new Peter Jackson the Jeweller store is and it was great to see so many shoppers visiting over the weekend. The longest serving independent retailer in the shopping centre, which first opened in Blackburn in 1988, relocated to a retail unit twice the size of their previous store and is offering many exciting new collections and lines. Located on the site of the former Ed’s Easy Diner, it is close to many of the leading fashion retailers. Peter Jackson the Jeweller has been a vibrant part of the local community with close ties with Blackburn Rovers FC. It was located in The Mall when the shopping centre was only partially covered. Blackburn was the second shop to be opened in the Peter Jackson portfolio, which was first launched in Preston; there are also stores in Bury and Carlisle. ‘Best Christmas experience ever’ back by popular demand!What’s On in Blackburn from Monday, 19th November to Sunday, 25th November 2018.